guys, which is better on ace 2- gingerbread or the official JB for ace 2? Nikidroid, 13 May 2013I had tried. First upgrade to Jelly Bean 4.1 XXMB2 Android 4.1.2 XXBM4, then official XXMC8. A... moreI have check my ace 2 connected to my kies and it's still ok and can be recognized by kies...even i had upgraded to jb portugal,rooted and deodex my ace2. i live in indonesia too,and i installed kies from samsung galaxy y software. Anonymous, 30 Apr 2013Samsung can lauch ace 3 that can runs 4.1.2 known as jeally bean thats why samsung cannot rele... moreThe Ace 3 is basically what the S3 mini is already if you look at the specs. Because this Russia Gingerbread has some Rusia app and doesn't has Indonesia language. I flash it again to Gingerbread Indonesia (Gingerbread Indonesia firmwares don't have CSC files). I had donwloaded some Gingerbread Indonesia firmwares (XSE) in www.samsung-updates.com, all didn't have CSC files. When try to connect it Samsung Kies (just curious), it said that its firmware didn't support Kies. james, 12 May 2013Can someone help me on how to disable the automatic updates of the applications which I downlo... moreOpen Google Play, check installed apps, make sure they you don't make them in checklist on each app. Nikidroid, 12 May 2013I forgot to tell you. After you upgrade to Jelly Portugal, you can't go back to Gingerbread fi... moreJust flashing it again the new Rom with PC and Odin without Kies, you can change whatever version you want. And rooting will gone too. i have decided to flash and root mine...i know the risk. i hope there will be not troubles on my ace2. Sahid Malik Atmatoha, 11 May 2013Who can tell me To Unroot Galaxy Ace 2 on Jelly bean?You need to reflash again using Odin. AnonD-144505, 12 May 2013U r welcome.I forgot to tell you. After you upgrade to Jelly Portugal, you can't go back to Gingerbread firmware like you bought the device. You still can go back to Gingerbread, but the firmware type is different. If you connect it to Samsung Kies, it won't recognized your device, and if one day you take it to Samsung Center, they can't claim for the warranty, they said it has been void. Nikidroid, 11 May 2013Thanks for your info.U r welcome. AnonD-144505, 11 May 2013I have updated my ace 2 to JB portugal, then i rooted,i installed deodex and removed some boat... moreThanks for your info. I have updated my ace 2 to JB portugal, then i rooted,i installed deodex and removed some boatware apps,i use ram booster pro to manage my ram. and i think it's smooth. i have played pes 2012 and raging thunder 2 and there is no lags at all for those games,but i don't try yet other hd games. i think it's smooth and there is no lags,i have played pes 2012 and ragging thunder 2 and no lags for those games,but i don't try yet other hd games. Who can tell me To Unroot Galaxy Ace 2 on Jelly bean? 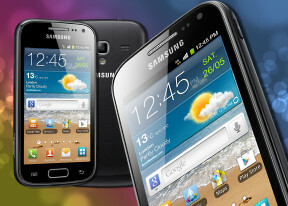 I had checked again on www.samsung-updates.com, only Portugal (TMN) and China for official Jelly Bean.